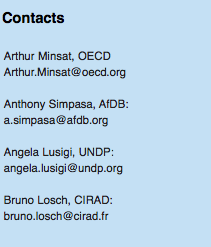 OECD, AfDB, UNDP, CIRAD. 2015. Thinking regional to foster Africa's structural transformation. GREAT insights Magazine, Volume 4, Issue 4. June/July 2015. See also the interview with OECD’s Henri-Bernard Solignac-Lecomte carried out by Kathleen van Hove of ECDPM at the European Development Days, Brussels, June 2015. Structural transformation is Africa’s overarching priority. But despite some progress over the last decade, current policies have not proved effective enough at speeding up job creation in productive sectors. New approaches are all the more necessary to accelerate structural transformation in the face of Africa’s unique demographic and spatial dynamics. In the decades to come, a fast rise in urban and rural populations, acute regional disparities and the constraints of global competition will make the challenge of transforming the continent a unique undertaking, although with wide variations between North, South and sub-Saharan Africa. Africa’s transformation path will thus have to cross unchartered territory. Past experiences of demographic, urban and economic transition may inspire action, but they cannot provide blueprints. As for current strategic options hinging on specific sectors, they may not be enough to meet the double challenge of massive job creation and productivity growth on their own. Pragmatic, context-specific approaches combining their merits will have to be crafted. Africa has no choice but to innovate. But how? The 2015 edition of the African Economic Outlook (AEO 2015), themed “Regional development and spatial inclusion”, suggests to start from the unique structural features of African economies: the demographic boom demands to place job creation at the centre of development strategies; its stark regional disparities call for regional approaches to development – multi-sectoral and place-based. The main proposal is thus to help African policy makers better tap African regions’ diversity and unlock their potential by building on specific local resources. Overall, Africa’s assets represent an immense potential: a young and growing active population; a fast growing domestic market; a diversity of ecosystems; abundant and largely under-exploited natural resources; and large scale and vast land areas, etc. However, in a context of wide spatial disparities, those assets are not easily identified and exploited by private and public actors, who tend to focus on a limited range of large urban centres and natural resource enclaves. Considering the daily practice of policy management, two major factors stand out that hamper effective regional policy-making: strictly-sectoral approaches and inadequate information. Sectoral policies alone overlook local knowledge, aspirations, resources and dynamics. Ministries may intervene along administrative boundaries, instead of focusing on functional areas, where social and economic activities effectively take place. Top-down, sectoral policies are exposed to risks of insufficient co-ordination, duplication and inter-ministerial competition. Sectoral lenses tend to limit action to a few specific tools, overlooking the complexity of problems. For instance, despite the significance of the urbanisation challenge, only 3 out of 30 African countries having prepared a Poverty Reduction Strategy Paper (PRSP) have urban strategies with relatively well-defined budgets. In particular, subnational statistics are limited to a few basic variables, which are insufficient to understand regional economies. In several countries, entire groups within a population and sectors of the economy are overlooked. A case in point is the “informal sector”: although it accounts for the bulk of employment in most countries, it remains insufficiently understood and its potential insufficiently captured. While a number of initiatives, such as the ECOLOC programme or the West African Long-Term Perspective Study, have aimed to fill the gap in information on local economies, most have been discontinued. This inadequacy of information is compounded by rapidly-changing regional dynamics in many African countries. The static categories of rural and urban no longer capture the appearance of hybrid lifestyles and socio-economic behaviours related to intensifying and diversifying rural-urban migration patterns and diffusing new technology. African economies need to liberate the potential of their many regions to foster endogenous growth and accelerate structural transformation. 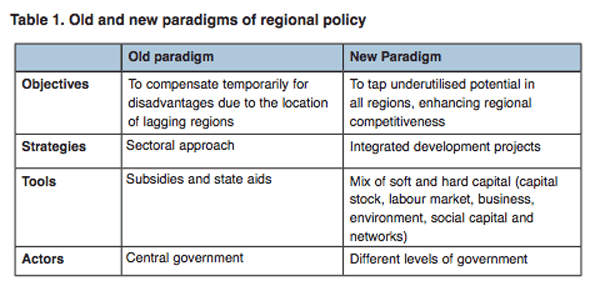 Top-down, subsidy-based interventions aiming to temporarily alleviate regional inequalities must give way to a broader family of policies increasing regional competitiveness and innovation, mobilising untapped resources and stimulating the emergence of new activities. Regional development thus takes a positive approach to developing the potential of the spaces that usually go under the radar of national policy makers: it aims to increase economic productivity and improve well-being in the different regions of a country. Focus on local assets that constitute untapped resources for development: those assets can be either generic resources – e.g. natural resources like gas – or specific resources, e.g. cultural heritage, the rural landscape and certain types of know-how. The latter are only “activated” when they are used and get a market value (see Table 2). Articulate various sectoral policies and public investments in a regional framework, as complementarities and trade-offs come with the place where they are located. Engage different actors in multi-level government settings and, in particular, promote the active participation of local stakeholders so as to reduce asymmetries in information and knowledge between national and local actors. Stakeholders and traditional institutions collect reliable data, including statistics, to obtain the most knowledge possible about the region. Dearth of data should not prevent the process from continuing. Scenarios for the region’s future are laid out through foresight studies and participatory processes, taking into account uncertainties related to missing data. This leads to building a vision for the country’s future based on local potential and opportunities. Based on the scenarios and the economic, demographic and spatial conditions underpinning them, stakeholders and government identify a limited number of integrated priorities and spell out multi-annual policies for achieving them. The priorities are those that contribute the most to the country’s long-term development strategy. Multiple levels of government, civil society and traditional institutions implement these policies, particularly as they participate in the scenario planning, priority setting and policy design steps. They co-ordinate their actions and use formal and informal checks and balances to ensure transparency. Policy implementation is monitored according to the key priorities. A pre-defined incentives framework ensures that the various levels of government responsible for implementing those policies are rewarded or penalised based on their achieving specific goals. Policy outcomes are evaluated to enable the various levels of government address inefficiencies, adjust their multi-annual plans and, if outcomes are not met, reassess and redefine their vision and priorities. Fiscal revenues are used to support the overall strategy. In order to improve the effectiveness of regional development strategies, four aspects deserve particular attention in many countries. Firstly, a number of initiatives in Africa illustrate ways of improving the mechanisms that inform policy design and implementation. An evidence-based culture of policy making helps set targets and track progress in public sector performance. South Africa is one of the most advanced countries in disseminating socio-economic information as a participatory mechanism. For example, after Statistics South Africa published a national Multidimensional Poverty Index in 2014, the Gauteng City Region Observatory produced its own index the following year. The data revolution – a fundamental pillar of the post-2015 development agenda for improving governmental statistical capacity – will help policy makers understand the specificities of regions and adopt timely measures as the needs of their jurisdictions evolve. 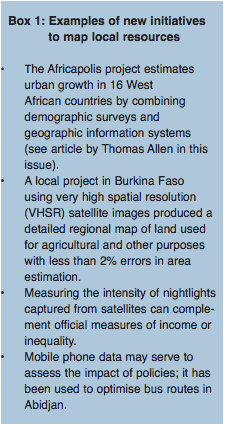 New technologies provide reliable and cost-efficient means to map local resources (see Box 1). Secondly, defining integrated strategic priorities can be done even with limited data thanks to innovative approaches. Regional foresight studies, for instance, bring together different levels of government – national, regional and local – as well as non-state actors to map possible futures, identify opportunities and challenges, stimulate debates on pathways to development and lead to place-based solutions. While many African countries plan for the long term, few use regional foresights studies or a genuine participatory process. Out of 37 countries surveyed in the AEO 2015 report, 27 have medium- to long-term strategies, but while most span 20 years or more, only about a third foresee alternative scenarios. 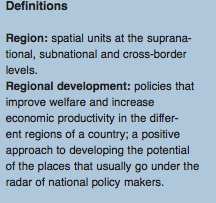 Most tend to overlook the multi-sectoral nature of development and ignore local specificities. Thirdly, capacity must be strengthened at multiple levels of government so as to make multi-level governance effective. This may be achieved by putting in place “binding” mechanisms – e.g. legal mechanisms or contracts between local and national administrations – or “soft” mechanisms, such as platforms for discussion. Rwanda’s Joint Action District Forum is one example of such a participatory process where local stakeholders articulate development plans, set budgets and allocate district resources. Involvement of subnational governments in policy making takes time, but medium- to long-term benefits should outweigh the costs of co-ordination. Finally, resources for multi-level governance must be substantially scaled up, and public and private institutions strengthened. Central governments will have to provide most of the funding. New resources may be mobilised through more effective taxation of natural resource extraction, the curbing of illicit financial outflows, effective channelling of resource revenues to production transformation or from innovative finance mechanisms such as funding from emerging economies, sovereign wealth funds (SWFs), funding from remittances or diaspora bonds. At the local level, fiscal systems must be bolstered across the board through transparent and predictable transfers from central governments, expanding the local fiscal base – for instance through more effective use of property taxes – and by progressively tapping capital markets, provided local governments respect national guidance for macroeconomic stability. Regional development requires strong local fiscal systems and transparent governance to finance local economies and the necessary infrastructure. Greater fiscal legitimacy of local governments is necessary to improve the local fiscal capacity: taxpayers are more likely to comply with paying taxes and to accept new forms of taxation if they perceive the benefits of related public spending, and thus consider the taxes to be legitimate. In sum, place-based, multi-sectoral and participative development strategies are one way of “decompartmentalising” existing policies, so as to better tap the potential of African regional resources. They provide an avenue for implementing the African Union’s agenda of integration and structural transformation, including through its Rural Futures programme, which aims to reconnect rural and urban development within a regional perspective. International dialogue and exchange of experience will be essential to inspiring country-specific processes. 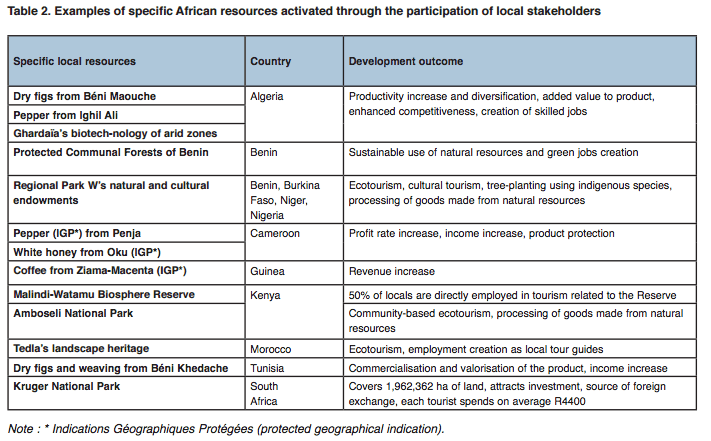 AfDB (et al.). 2015. 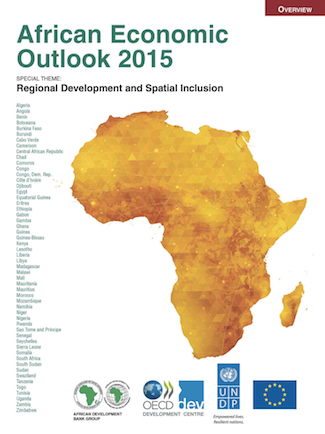 African Economic Outlook 2015: Regional Development and Spatial Inclusion. Paris: OECD Publishing. ECDPM was part of the expert group consulted by AfDB-OECD-UNDP for the AEO 2015.